You know you’re in trouble when you find yourself saying this…especially when the beverage is served by the pitcher! I do love to relax with an icy tumbler of sangria, it’s so fruity and refreshing. This Red Tea Sangria recipe from inside the Mighty Leaf Sangria Tea Collection box has wonderful herbal notes as well from – you guessed it – the addition of brewed red tea. This sangria tasted great with the Organic African Nectar tea but you could easily substitute other rooibos, hibiscus or tropical herbal teas. The box actually contains pouches of three different tea blends, each with corresponding sangria recipes. Brilliant, right? 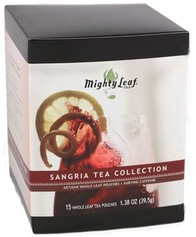 Win Mighty Leaf teas and an iced tea pitcher! [THE GIVEAWAY IS NOW CLOSED] Read on for giveaway details and the Red Tea Sangria recipe. Leave a comment on this post telling us about your favorite relaxing beverage. One winner will be selected at random to receive the teas and pitcher. Contest ends Tuesday, September 7, 2010 at 12 PM PDT; [THE GIVEAWAY IS NOW CLOSED] the winner will be announced on Wednesday, September 8, 2010. One entry per person, please. Contest is open to readers with U.S. or Canadian addresses only. * The Mighty Leaf Tea Company sent me their tea to try and is providing the prizes for this giveaway. Squeeze the lemons and oranges into a large pitcher and then toss them into the pitcher along with 1 cup of sugar. Stir and muddle the fruit with the sugar well. Put 36 oz. water to boil. Steep the tea pouches for 6 minutes. Discard the pouches and add the tea to the citrus sugar mixture. Add the 2 cups Rosé wine and the chopped fruit. Chill for a couple of hours. Serve in wine glasses and spoon fruit over the sangria in each glass. I’m currently sipping my favorite–iced Earl Grey tea. So that I don’t get too wired, I’ll have decaf Earl Grey in the evening. There is something about its robust taste and fragrant aroma that transports me. During the winter I switch to hot Earl Grey tea, sometimes with lemon. I love a hot cup of tea. I love a carmel bush tea. 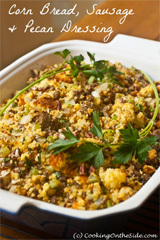 i just found your blog when I was searching for a lasagna recipe- I love it! My most relaxing drink is a cold margarita on the beach! At this time of year, my favourite relaxing beverage is peach margarita – I like to take full advantage of peach season. My favorite relaxing beverage is usually red wine, but on a cold, rainy day, I love tea (although I have tea every morning too so not sure that counts) and in the summer, I love a good fruity cocktail! That Sangria looks wonderful, but right now my favorite relaxing drink is a simple cold beer. However that could change! My favorite relaxing beverage is half lemonade and half sweet tea from Chik Fil A– This always makes my day! My favorite relaxing drink is a cup of Spicy Maya or Abuela Hot Chocolate … something about the spice with the warm hot chocolate just soothes all my cares away… ahhhhh. One of my favorite drinks is ginger ale with cranberry juice and sorbet. Yum. For me, relaxation is a glass of wine. But, if it’s hot, I love a Mai-Tai! My favorite relaxing beverage is hot green tea. I have a cup nearly every evening to help me wind down. Even in our crazy hot Texas summers! 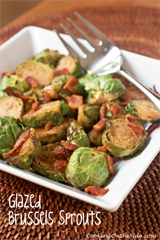 Meal Plan Mom (Brenda)´s last blog post ..Menu Plan Monday! Oh man I love sangria. This one looks so different than anything I’ve ever had! I love to relax with a glass of wine. But in the winter I always have a cup of camomille tea before bed, I love it! My favorite “relaxing” beverage is a nice cold beer. one of my favorite relaxing beverages is strawberry lemonade. Thanks for having the giveaway! My favorite relaxing beverage is a fresh glass of suntea with a slice of lemon! There is nothing more relaxing than to come home after a long day teaching 7th graders, settling down in my favorite quiet spot, and sipping a special hot tea. There are several fruit melanges which are my favorite flavors. I love me some Celestial Seasonings Sleepytime tea! I’m satisfied just with a glass of ice cold water, but peach tea is delish too! Water is the first thing I grab when I get home, cold, icy and more refreshing than anything! An instant relaxer. My favorite relaxing drink is a matcha tea latte. Mmmm. Bliss. My favorite relaxing beverage would have to be apple cider, hot or cold! There is just nothing that beats the delicious flavors of apple and the smell of cinnamon. It’s especially yummy when you add a bit of rum to it on extra cold nights! Enjoy! 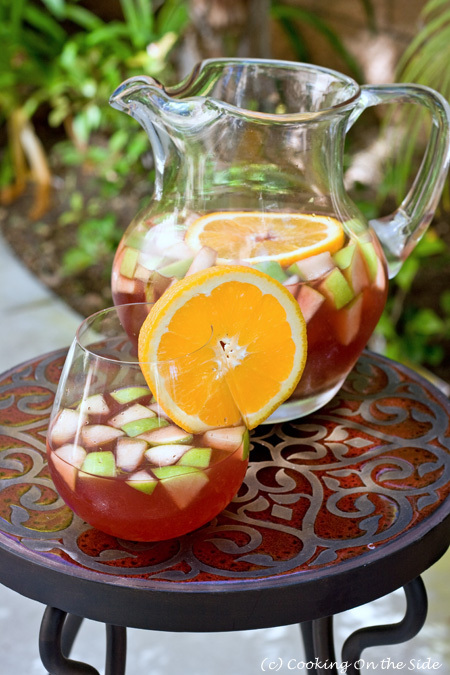 I love this Red Tea Sangria Idea… I am totally making this for Labor day weekend! Thanks for sharing! Love your blog! 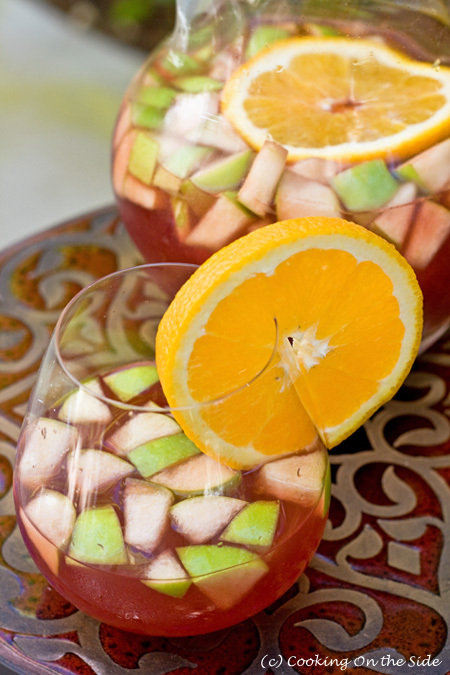 I love this sangria, and I did not even know you can make it with tea! Great idea and picture looks yummy! ready to drink! My favorite beverage to relax is starbuck’s chai tea! It is amazingly relaxing for me! While hot weather is still around there is nothing like a cool margarita! Good luck to all. I never win these things, but I always increase the odds that someone else will! Mmmm, Sangria. Can’t wait until I can partake in the full version! My favorite relaxing drink is probably Baileys and Cream (or milk or whatever), although a simple glass of wine goes a long way! Karen´s last blog post ..FunnyBut Wrong! I love tea – iced or hot. My favorite flavors are orange blossom, mint and earl gray. I LOVE mighty tea – The tropical green tea is one of my favorites! 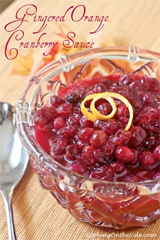 Can’t wait to try the Sangria one – YUM! I’d have to say my most relaxing drink is a cold glass of pinot grigio…looking forward to getting off work to have one! Mmm, that looks great! I’ve got an upcoming shindig that I’m hosting, and I think this may be making an appearance! My most relaxing beverage is a perfectly made cappuccino – hard to come by, but when you find a good one, it’s the best! I hope I win, the 7th is my birthday! My favorite relaxing drink is definitely a root beer float. I love root beer by itself, but that scoop of ice cream just makes me wanna kick back! This looked very interesting and I was able to find the tea locally. I reduced the sugar to slightly more than 1/2 of what is called for, and used only one large apple. I can tell you it is magic. Probably the best sangria that I have tasted. The combination of fruit, tea, and juice combine perfectly. To bad more of your comments are not from people who have actually tried the recipe. I’d have to say a hot chai tea….yummmmmy!! My favorite relaxing drink depends on the time of day. In the mornings I like a nice cup of oolong tea and in the evenings a glass of whole milk. I love a great cup of coffee – it is my go to relaxation drink! I am a sucker for those frozen coffee drinks. Whenever I am having one of those long days I sure try and make it to my local coffee house for a naughty treat…decaf of course! Hmm, my favorite relaxing beverage would be a nice rooibos tea. Giveaways are so fun! During the summer, nothing beats iced black tea with honey and fresh mint. In the winter, I love curling up with a mug of hot chocolate. Next post: Congrats to Our Sangria Tea Winner!